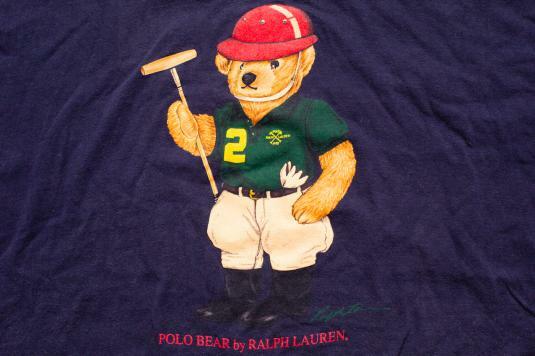 True vintage 1990s Polo Bear by Ralph Lauren polo player t-shirt; made in USA. It is in good vintage used condition with wear/fading, pilling, and a few small light stains. Actual Size: Modern XL? – Length 30" – Pit to pit 23"